One particular spring in 1959 branded this image into the minds of the Danish population, when a policeman found the time to stop the traffic in order to let a young Duck family pass. Local papers were quick to publish this image capturing Danish attention to nature. 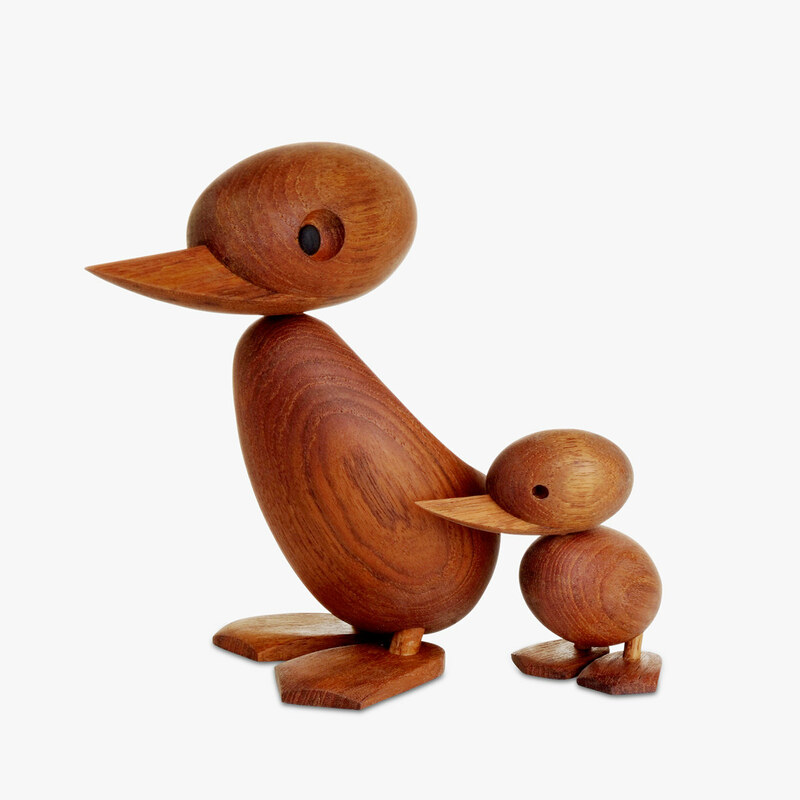 Inspired by the charming Duck family, Hans Bolling designed a pair of small wooden Duck figures, whose characters carry the essence of that Danish spring.